The Plymouth International Book Festival also has opportunities for high profile event sponsorships with a generous package of acknowledgment around the year in the city and through the website. Please contact Tracey Guiry, CEO of Literature Works if you would like to discuss this support – info@literatureworks.org.uk, telephone: 01752 585 073, www.literatureworks.org.uk. By joining the Friends scheme, individuals agree to personal details being held by Literature Works and The Arts Institute and used to communicate information only relating to the Friends Scheme and events at the Plymouth International Book Festival. All personal information will be collected, used and stored by Literature Works in line with GDPR. We do not pass or sell data to third parties. To unsubscribe from this membership scheme, members should write to: Literature Works, The Arts Institute, Roland Levinsky Building, University of Plymouth, Drake Circus. Plymouth, PL4 8AA or email info@literatureworks.org.uk with the subject line ‘PIBFFriends unsubscribe’. Friend membership discounts are only applicable for selected shows happening during the period the member’s subscription is valid. Friend membership subscriptions cannot be transferred to another person. Re-selling tickets to non-members is strictly prohibited and could result in the cancellation of your membership. Membership discounts may not be used in connection with any other promotions. Friend membership subscriptions and members’ tickets are non-refundable. The price of Friend membership and members’ tickets and the membership benefits are subject to change at the discretion of Literature Works. 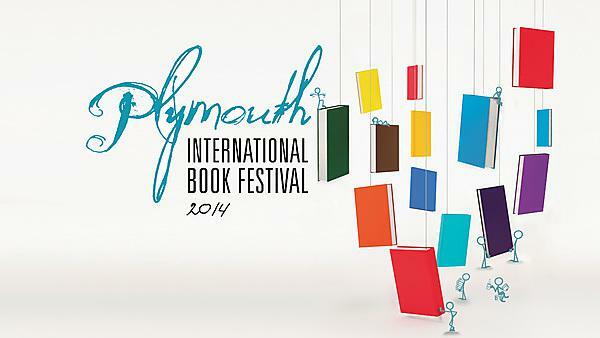 The ‘Friends of the Plymouth International Book Festival’ scheme is managed by Literature Works on behalf of the Plymouth International Book Festival partnership group. Literature Works is a registered charity which supports writing and reading development programmes in the South West of England. For more information about our work please see www.literatureworks.org.uk or contact info@literatureworks.org.uk. Literature Works reserves the right to suspend, amend or cancel the Friends Scheme at any time. Literature Works reserves the right to make any changes to the above conditions without prior notice. Literature Works reserves the right to use up to 10% of funds raised to cover the costs of management and provision of the scheme and its activities and all other funds raised be used to cover the costs of running the Plymouth International Book Festival and providing an annual programme of writing, reading and literature development programmes for the people of Plymouth and its environs.